Welcome back to Ravnica, everybody! My name is Chas Andres, and I'm honored to be your tour guide once again. The last time we traveled to this fabulous urban plane, I had the privilege of introducing you to the passionate mad scientists of the Izzet League, the proud soldiers of the Boros Legion, the communal naturalists of the Selesnya Conclave, the underground scavengers of the Golgari Swarm, and the elusive spies of House Dimir. But did you know that there are five other guilds? That's right—Ravnica has ten total, which might explain why the plane appears to be experiencing . . . shall we say . . . a brief period of civil unrest. But don't worry too much about that. As long as we stay together, we'll probably be fine. I only lost three guests on my last tour of the guilds, and one of them is still technically alive—at least, according to the Orzhov definition of the word. The other two would have survived if they'd kept their arms and legs inside the cabin as we passed the Sharktocrab tank. But here I am getting ahead of myself. Are you ready to begin our flavor-filled journey through the guilds of Ravnica Allegiance? You'd like to know more about the Azorius Senate? Very good. All you need to do is fill out Requisition Form X37J in triplicate, notarize it, get your bid for additional knowledge endorsed by two sitting elocuters, publically renounce all ties to the Gruul, and then come back and see me any time between 9:00 a.m. and 9:10 a.m. on the third Wednesday of any even-numbered month. Oh, you did that already? Well, then. I guess I should tell you everything I know about the Azorius. As Ravnica's foremost political body, the Azorius Senate is in charge of the legislation, enforcement, and arbitration of laws throughout the city. They believe that the rule of law is the only thing that stands between Ravnica and chaos; therefore, it is their right to create and enforce the law as they see fit. A little bureaucracy and the occasional injustice? Prices worth paying in order to prevent Ravnica from descending into anarchy. The Azorius Senate is divided into three branches of government. The Jelenn Column makes the laws, the Lyev Column enforces the laws, and the Sova Column arbitrates the laws. If you were to violate one of the many, many Azorius statutes on Ravnica, you might find yourself arrested by a Lyev lawmage, sentenced by a Sova judge, and forced to listen to a Jelenn elocuter in order to find out what rule you actually broke in the first place. As you can imagine, many of the other guilds find the Azorius to be aloof, pedantic, and just plain no fun. Members of the Azorius are incredibly proud of their founder, the great sphinx Azor. As the original author of the Guildpact, Azor is largely responsible for creating the version of Ravnica we all know and love. In fact, Azor even created the Implicit Maze that allowed Jace Beleren to become the Living Guildpact after the original Guildpact was destroyed. Of course, there is no love lost between Azor and Jace. After meeting Azor on Ixalan, Jace was struck by the arrogance and rigidity of the sphinx. Azor was all too eager to blame Ravnica's people—not its flawed system of government—for the plane's recent troubles and strife. After coming to the realization that Azor has now disrupted the balance of two different worlds by imposing his will upon them, Jace banished Azor to Useless Island, where the sphinx now resides. Unfortunately, the current leader of the Azorius Senate might be even worse. Dovin Baan, a vedalken bureaucrat from Kaladesh, is the current Grand Arbiter of the Azorius Senate. He took over after Grand Arbiter Isperia was turned to stone by Vraska, and Dovin has since proven himself adept at navigating the bureaucratic waters of the guild's internal politics. But while other members of the Azorius might be tickled with Dovin Baan's use of precognitive mages to stop crimes before they happen, they might not be so down with the Planeswalker's secret loyalty to the treacherous dragon Nicol Bolas. Rules—who needs 'em? Certainly not the Cult of Rakdos. To a member of the Cult, rules are a great way to waste the all-too-brief spark of life that comes before the inevitability of death. All the "law and order" talk that the Azorius Senate crows on about? It's an illusion. Chaos is inevitable, life is short, death is natural, planning for the future is meaningless; let's party. To examine the organizational hierarchy of the Rakdos too closely is to miss the point. They used to be loosely organized into Rings, much like a circus, with Rakdos Ringmasters in charge of the Cult's clubs, festivals, performances, and fighting arenas. As the Cult has been pushed further into the margins of Ravnican society, however, they've taken to the streets as a travelling theater troupe. While many of their performances are purely hedonistic (not to mention highly destructive), the Rakdos love to parody and lampoon authority as well. They don't much care for any guild that seeks power, viewing all external leadership as a threat to their individual freedoms. Beyond their work as entertainers, some of the more respectable Cult members are often shunted into service industry jobs while the less respectable Cultists end up as assassins or laborers. As you can imagine, the Cult of Rakdos doesn't exactly have a great reputation among the rest of Ravnican society. 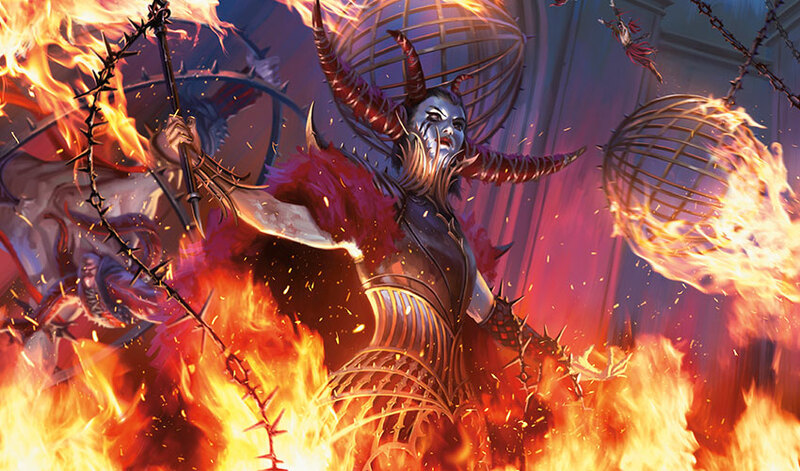 But while the Cult's penchant for anarchy and cruelty is looked down on, it is widely accepted that the Rakdos are incomparable performers and hosts. In terms of leadership, the Cult of Rakdos lives up to its name. The guild was founded by an ancient demon named Rakdos, who is worshipped by his cultists as the ultimate entertainer. Rakdos is the embodiment of everything that his guild holds dear: hedonism, cruelty, chaos, and the ability to make an audience rise to their feet and cheer. 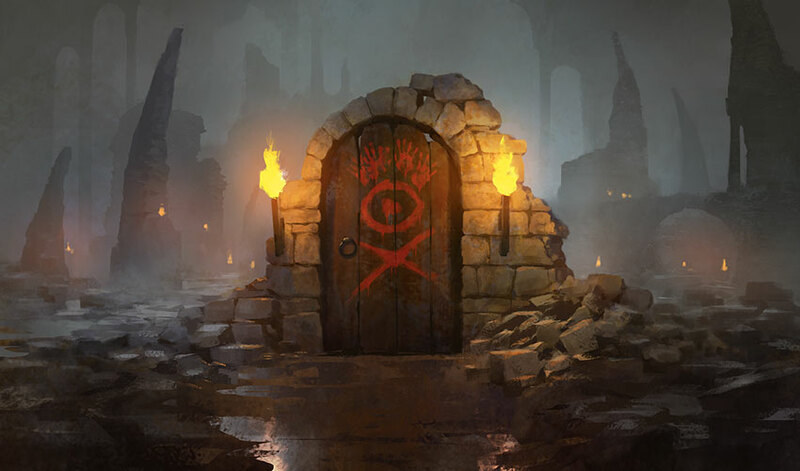 Since the fickle demon spends much of his time slumbering beneath the guild hall in Rix Maadi, putting on a performance that Rakdos both attends and enjoys is one of the highest possible honors that a member of the Cult can achieve. Jellyfish! Hydras! Beasts! Jellyfish Hydra Beasts! To the Simic, the word "combine" is both noun and verb. Is it possible that we haven't actually met the true mad scientists of Ravnica yet? Because while an Izzet mage might build you a steam-powered jetpack, Simic's experimentalists are already sizing you up for crab claws and a tail. At its heart, Simic philosophy comes back to the search for balance between two contradictory forces: the Holdfast and the Upwelling. The Holdfast represents the importance of staying rooted in the natural world, much the way a piece of kelp remains fastened to the ocean floor. The Upwelling represents the importance of constant improvement and renewal, much the way ocean currents spread nutrients throughout the sea. It is through this metaphor that the Simic approach to the world starts to make sense—remaining connected to nature is essential, yes, but that doesn't mean that we can't always improve upon it. The Simic are the most reclusive and isolationist of all the guilds. Many of its members are scientists who spend large portions of their lives working in secret experimental laboratories. Others are physicians and surgeons, since the Simic Combine are technically in charge of maintaining Ravnica's public health. Most of the Simic live within Ravnica's nine zonots, massive sinkholes that act as conduits between the city surface and its forgotten oceans. Its members are organized into clades, with each in charge of a different aspect of Simic society and biological research. For example, the Hull Clade are in charge of defense, while the Crypsis Clade are in charge of camouflage. Other than their name, almost nothing is known about the founder of the Simic. 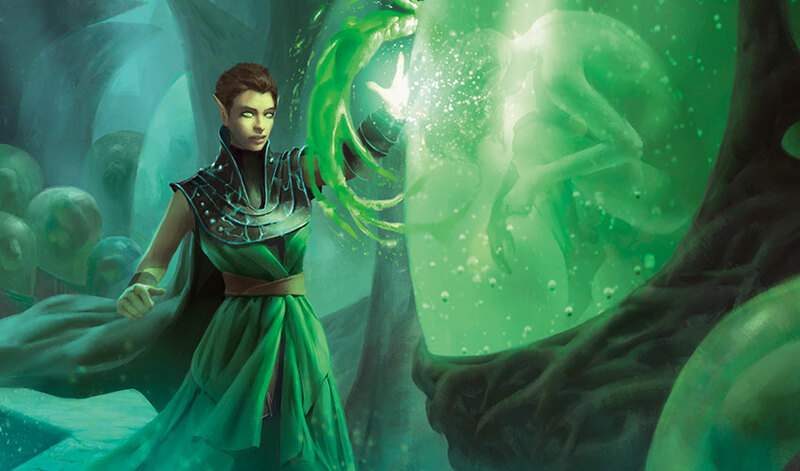 In more recent times, the guild was led by an elven biomancer named Momir Vig. Vig created the cytoplasts, which were small globules of living tissue capable of "improving" all life on Ravnica. But since the vast majority of Ravnicans didn't want Momir to meddle with their genetic structure, he decided to "cleanse" all life on Ravnica so that the Simic could start over. Thankfully, he was defeated by Argus Kos and the Simic fell under new management. After Momir Vig, the Simic were led by Prime Speaker Zegana. She's a member of the Utopians, a Simic faction that believes in isolationism, incremental change, and trusting that the balance between nature and society will slowly continue to improve. The current Prime Speaker, Vannifar, has a different philosophy. She's a member of the Adaptionists, who believe that the current political chaos is a threat to the existence of the Combine and that radical change is needed. As a result, Prime Speaker Vannifar has begun to mutate some of the smartest Simic scientists into super-soldiers, a plan that seems totally safe and unlikely to backfire. DO YOU LIKE THIS CITY? TOO BAD FOR YOU. THE GRUUL ARE HERE TO SMASH AND BASH UNTIL THE CITY IS GONE. CITY IS BAD. NATURE IS GOOD. GRUUL WILL NEVER STOP UNTIL CITY BECOMES NATURE AGAIN! In all seriousness, the origin of the Gruul Clans is heartbreaking. Back when the Guildpact was written, the Gruul were far from the destructive force that they are now. In fact, they were given stewardship over Ravnica's wild places and natural beauty. But as the city began to sprawl out, the other nine guilds refused to heed the Gruul's warnings as they destroyed more and more of the wilderness. The Gruul were ignored, marginalized, and enslaved. Anger fermented. The guild's leadership structure crumbled. With nothing left to protect and conserve, after centuries of being ignored and oppressed, the Gruul became agents of chaos and destruction. There are currently seven different clans within the Gruul, but that number has changed many times throughout the years. While each clan has their own leaders and methods—the Bolrac Clan love using battering rams to bring down large buildings, while the Slizt Clan are big believers in stealth attacks—the clans are united in their belief that civilization must be obliterated so that the natural world can once again take root on Ravnica. It has been a long time since the Gruul Clans were unified under a single leader. Most members of the Gruul are willing to follow whomever seems like the strongest warrior at any given time. That's how the massive cyclops Borborygmos came to power. Borborygmos was actually just the leader of the Burning Tree Clan, but as the largest and most powerful of the seven clans, most Ravnicans considered him to be the guild's de-facto leader. But things have begun to change. After besting Borborygmos in combat, young Planeswalker Domri Rade is now in charge of the Gruul Clans. The shamans of the Zhur-Taa Clan believe that Dormri's leadership might bring about the mythical End-Raze, an urban apocalypse where their god, Ilharg, the Raze-Boar, will return the world to a state of undisturbed nature. And since Domri's rise was helped along by the unseen hand of Nicol Bolas, they might not be wrong . . .
Do you want to live forever? More importantly, do you want to be rich and powerful forever? The Orzhov Syndicate does, and they've got the infrastructure to make it happen . . . for themselves, at least. Maybe not for you. Fair warning: many who tangle with the Orzhov become permanently bound to them, either through debt or through guilt, forced to become a cog in their criminal empire. The Orzhov began their life as a proper religious organization, and they still pay lip service to that idea from time to time. The Orzhov still employs priests, for example, and their guild hall is called Orzhova, the Church of Deals. Guilt is still one of their major weapons, especially when they can use the promise of atonement as means to gaining control over their followers. These days, however, the "deals" part of that name takes precedence over the "church" part. There aren't many businesses on Ravnica that aren't either run by or in debt to the Orzhov, and the Syndicate's push into organized crime is only becoming more brazen. The Syndicate is organized into a loose affiliation of cartels, each of which is led by their own priest or kingpin. 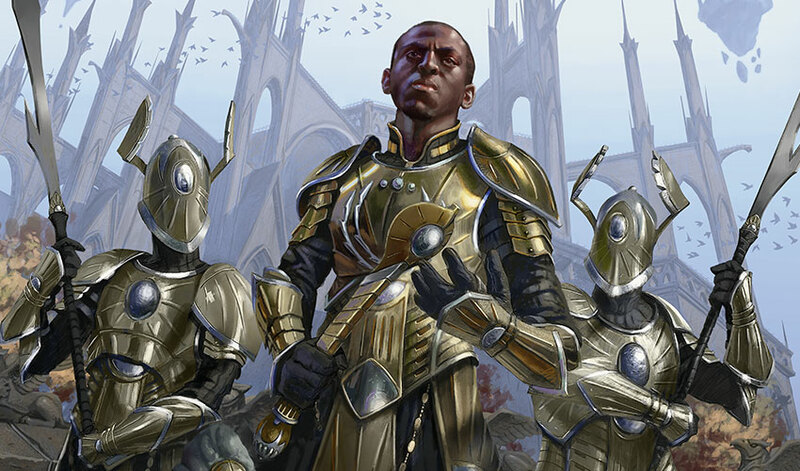 Maintaining a rigid hierarchy is important to the Orzhov, where your position in the guild is a matter of identity and power. Plus, the more power you have, the longer you might live. Elite members of the Syndicate are willing to do whatever it takes to extend their life, and many are even able to transcend death itself. For thousands of years, the Orzhov Syndicate was led by the Obzedat, also known as the Ghost Council of Orzhova. Members of the Obzedat were the elite of the elite in life—patriarchs and autocrats of incomparable wealth and power. These spirits (known on Ravnica as the Deathless) didn't let a little thing like death stand between them and their desire to accrue more wealth and power. 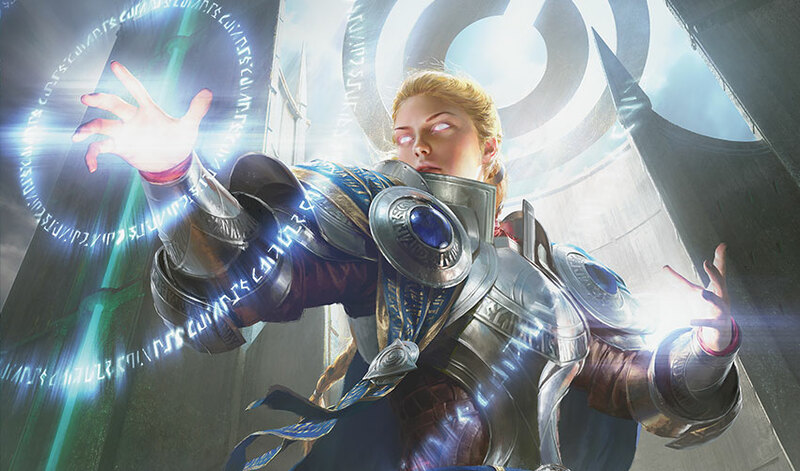 Cloistering themselves deep within Orzhov territory, the Obzedat rarely revealed themselves, instead choosing to rule through their Grand Envoy, an advokist named Teysa Karlov. Teysa was stripped of her title and thrown in prison after attempting to stage a coup, but the Obzedat were still not safe. Nicol Bolas hired Kaya, a Planeswalker and ghost hunter, to take out the Obzedat and assume control of the Orzhov Syndicate. After Kaya became guildmaster, she installed Teysa as her right hand and they began reforming the guild. Their first act? Freeing many of the sprits that were still in debt to the Orzhov from their eternal obligations. Those are the guilds represented in Ravnica Allegiance! As you can tell, the ten guilds of Ravnica cover just about every motivation, personality, and lifestyle. You'll have to decide for yourself which guild deserves your loyalty, but I hope this guide has made the pledge a little more personal, and a little easier.